Jill Rose of Casa Latina contributed to this post. 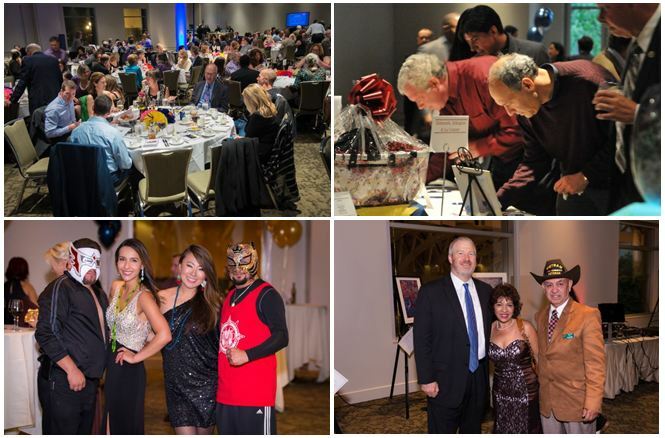 Casa Latina recently held their 19th annual La Fiesta del Sol, a gala dinner and fundraiser supporting Casa Latina. Comcast was proud to be a sponsor. Over 350 people came together for a festive evening celebration that could not be dampened even by the torrential downpours earlier in the day. The evening included silent and live auctions, an art section featuring local and prominent Latino artists, cocktails, dessert auction, and dancing. This beloved annual event draws together a wide range of supporters to celebrate the growing Latino community and to build upon the community’s many economic and cultural strengths. Generous donors and sponsors helped Casa Latina to raise over $162,000 from the event to support our programs and mission. With this support, Casa Latina is helping hundreds of Latino immigrants build new lives and find dignity, opportunity and hope. In attendance was: Mayor Mike McGinn, Deputy Mayor Darryl Smith, State Sen. Adam Kline, State Sen. Ed Murray, State Rep. Luis Moscoso, State Rep. Zach Hudgins, former State Rep Phyllis Gutierrez Kenney, King County Superior Court Judge Laura Middaugh, and representing the government of Peru, the Consul General Miguel Angel Velazquez.